Hartpury have retained the bulk of the squad that made a good showing in defeat at the hands of Coventry last weekend, as they prepare for tomorrow’s showdown with fellow would-be survivalists, Richmond. As the Championship’s only semi-professional outfits, it is perhaps not surprising that the two clubs find themselves fighting it out at the foot of the table but, equally, there is no doubt that both would prefer to be playing in Tier 2 again next season. 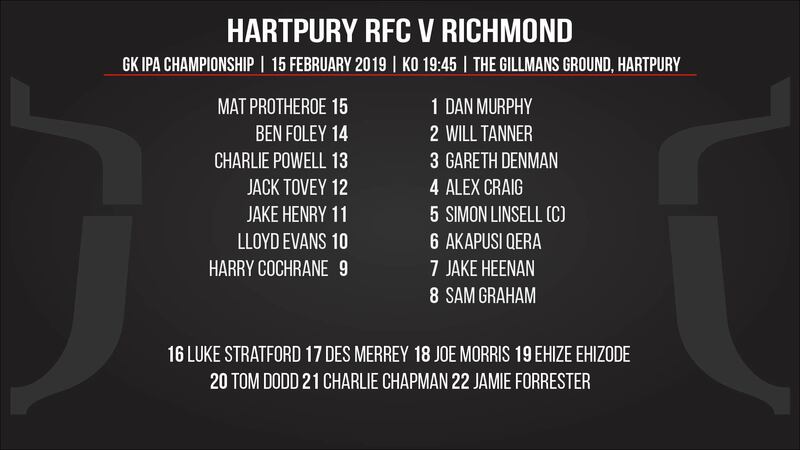 Defeat for Hartpury would make survival difficult – if not impossible – and the club therefore need to end a run of defeats that began, at Richmond, back in September. Once again, Hartpury has called on its close links with its Premiership neighbours. Appearing in the Red & Black for the first time will be Gloucester Rugby and former Northampton prop, Gareth Denman, a player with significant top-flight experience. Another new face in the pack will be New Zealand-born back row forward, Jake Heenan, who was with Bristol Bears boss, Pat Lam, at Connaught in the Pro 14, before making the move to Ashton Gate at the start of this season. Heenan skippered New Zealand at the 2012 U20 Junior World Championship, but is now qualified for Ireland. His Bears club-mate, Jack Tovey, is the final debutant. The long-serving centre has made almost 200 appearances for his home-city club and will bring experience to the Hartpury midfield in the continued absence of another (former) Bristol man, Luke Eves. Tomorrow’s game, at the Gillman’s Ground, kicks off at 7.45pm.